While we are traveling, a thought to share from the Diospi Suyana Hospital website. Please pray for us as we head home over the next 24 hours. From 1998 to 2003, my wife and I worked as missionary doctors in Ecuador. The road from the capital Quito to Shell City, where the Hospital Vozandes del Oriente was, took us right past the volcano Cotopaxi. Often we gazed reverently up at its 5,897-meter summit crater. In 1877, a violent eruption razed the city of Latacunga below to the ground. Since 1977, the volcano has slept peacefully, and nothing has pointed to further eruptions. 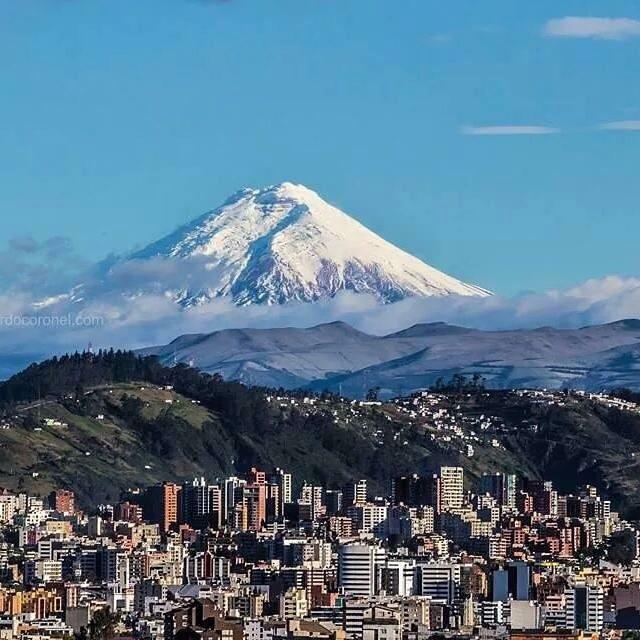 The Cotopaxi is majestic and sublime, 50 km south of Quito. But the question is not whether the volcano will erupt again, but when it will. 100 years may pass, or even 500 years, but eventually, it will become active again. 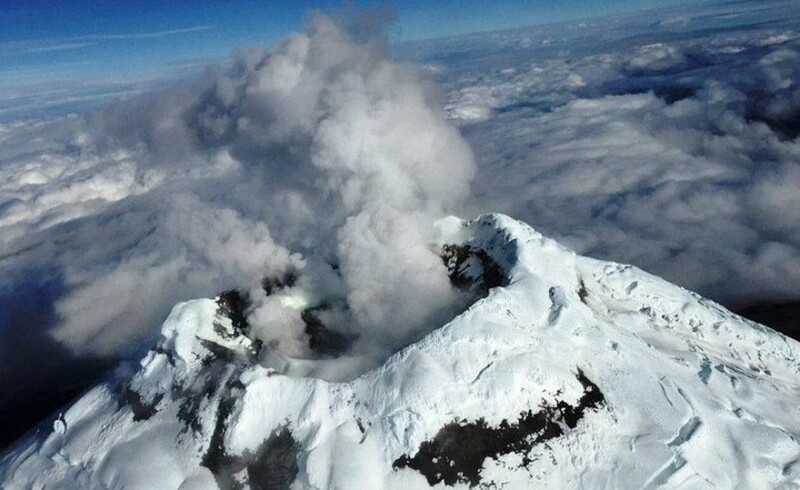 Three days ago, it was time: Cotopaxi’s ash cloud rose to 14,000 meters above sea level. 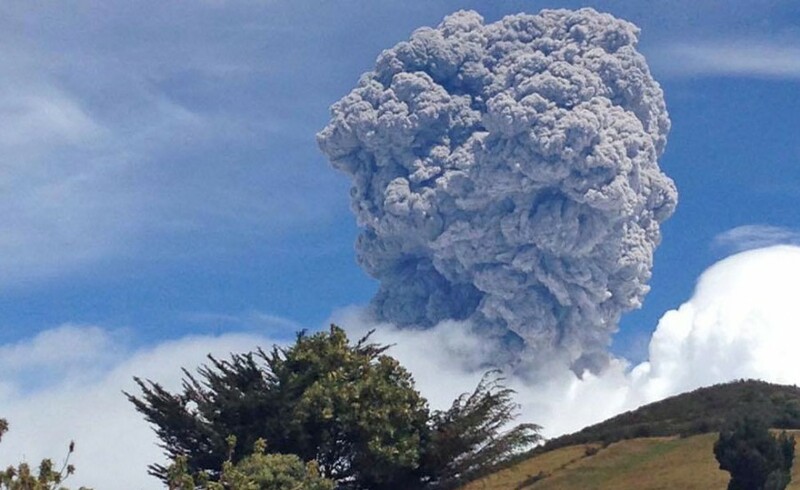 Eruption on August 14, 2015. I wrote this blog a couple of days ago, but the Internet was not working. Right now we’d appreciate your prayers as we travel from Cusco to Lima to Dallas– we did receive our passports on time. Thank you, God! 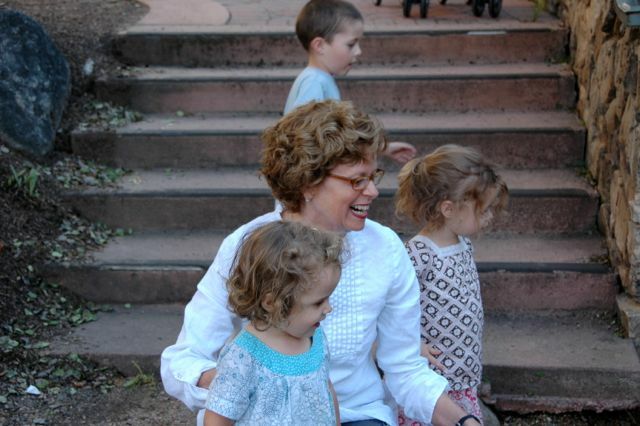 I’m not old, but as I mature and our kids grow into people needing a different kind of care and our lives shift a bit, I have gained insight into how my mom’s joie de vivre was so inspirational. It seemed like she was always growing and changing and enjoying things more and more, which does not seem like the normal pattern of most people as they age. My mom embraced life and all the people around her with a bear hug. She really was being transformed from one glory to another… a promise we too can claim. As we have been processing coming back to the States and anticipating giving some “presentations” or talks about these two years in Peru, I have been prayerfully considering what changes have taken place in my spirit. Am I being transformed? If so, in what specific ways? There is a lot that has not changed, there are several sins and failings that have come to the surface, plenty of dross has been revealed, but I know that as a result of living here, I love more. I love the Bible more. I love my kids more. I love the church more. I love the world more. I love the poor more. I love the rich more. I love the mountains more. I love the rain more. I love the testimony of believers more. I love junior high kids more. In the spirit of Margaret and our Lord Jesus, love more! Ryan and his wife Kirsten left about six months ago, but we remember them well. Ryan has gone on to be a major help in our mission organization, working in the area of communication as he takes lots of pictures and tries to convey well the story of what God is doing through the doctors who work with the Christian Health Service Corps. I like these pictures in this post from a couple of years ago, and I wanted to share them again. Ryan is the husband of one of our physicians working in the hospital. Besides being a great guy, he is a very talented photographer. Both he and Kirsten, his wife, work harder than most of us to understand the Quechua culture and to try and bridge the cultural gap between us and them. While I see a gap that cannot be crossed, they see opportunities for friendship. I really respect the work they are putting in to make a difference here in Curahuasi. Please take a look at the post below from the spanish portion of the Diospi Suyana Hospital website. Ryan during a photographic session in the hospital chapel. Ryan Morigeau shows this photographically. Week after week Ryan Morigeau saw poor patients in the waiting room of the mission hospital. A look at their shoes, their clothes, and not least, their teeth, indicate to us the sad and heavy circumstances in which they have lived and still live. Ryan Morigeau had a great goal. “I wanted to give the Quechua speakers, which are usually treated in Peru as second class citizens, dignity and beauty.” His portraits show that he succeeded. This is not a sentimental post! Over one month ago we sent all our paperwork, visas, passports, and money to the Peruvian Christian law firm that helps us with our visas. To get all our kids documents there on time, we had to pay expedited fees and enlist the help of my brother, Sam, who happens to live in Austin, TX to get all our kids apostilled birth certificates to Lima urgently. We got it all there, and we felt good thinking the renewal of our visas would proceed without problems. Little did we know that all this paperwork would just sit in the lawyers office for one month as if it had never arrived. Earlier this week we received an email from the lawyers saying that they had not received the birth certificates or money to proceed through the renewal process, and so they had not scheduled an appointment to renew our visas. (This email came despite the fact that they had called us one month ago telling us the birth certificates had arrived and that they had been translated to Spanish successfully.) This is one week before we are supposed fly out of the country, and our passports are sitting in an office in Lima, Peru. And in addition, they stated there was one more paper that we needed to sign explaining why we were leaving the country. So they sent us this paper by email, I signed it, then sent it by taxi to the airport where it was put on a plane to arrive in Lima early the following morning. As of now, there is an appointment scheduled in Lima on Monday at 8 AM. If all the paperwork is approved, then a German volunteer who is flying from Lima to Cuzco on Monday afternoon will be bringing our passports and visas. Then we will leave on Tuesday from Curahuasi to begin our journey home, arriving to Dallas on early Thursday morning. Am I worried? A little, but I keep reminding myself that as a Christian and a follower of God, I know who is in control. So I put my trust in God, knowing that things will work out one way or another. Why worry about things I cannot control? Peru is often like a training camp for learning how to let go of control, to trust God, and to stop worrying. With that said, please pray that these meetings and connections will go well, so that by Monday night we will have our passports and visas in hand ready to travel on Tuesday. And we will see our American friends soon! Have you seen our most recent newsletter. If not it has information about the next few months of our lives, back home in the USA! View from the church window. Spending too much time today in the hospital!